A Psychic reading goes by many names. 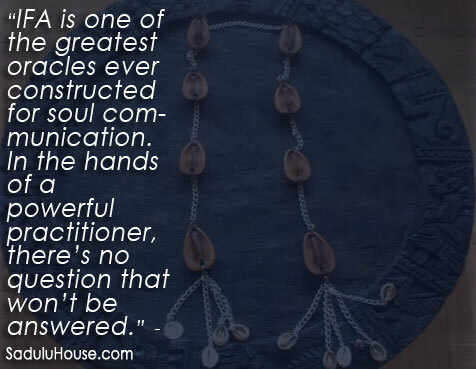 At the Sadulu house HRU Assaan-ANU, a medium and psychic, offers spiritual readings and consultations in order to re-balance and ground individuals in need. A spiritual reading is a deeper level of exchange and conversation at the soul level. There are no other energies summoned or called into the experience other than your own higher self. By connecting with the will and voice of your higher self , you can align yourself with your mission and purpose at a soul level. This is where healing. This is, also, where we find the answers to the questions you may have about your life or selected situations in your life journey. A consultation with HRU is detailed, sincere, and provides the client the opportunity to ask questions, provide feedback, and learn about the inner/outer-verse. The client is made the central part of the journey towards solutions and clarification and not just regulated to the role of captive listener placed on the side-line of the experience. Spiritual readings are done using a variety of methods. The Yoruba IFA divination is usually the central oracle employed by HRU. In addition to using IFA, he’ll also use the Diloggun shell reading oracle, as well as I-Ching and whatever other oracle the client’s spirit desires to communicate through. For more information on Spiritual Readings go here. A Psychic Reading is affordable as HRU’s estimation is that everyone should have access to divination services and should not be prohibited from gaining a broader life outlook or needed insight into current, past, or future circumstances because of high divination cost. Sessions are typically from 1-2 hours. Readings are done in person, as well as by phone. Please schedule your spiritual consultation on the appointment calender, fill out the required information, and you will then be prompted to make your donation for the spiritual reading afterwards. Once your donation is completed your appointment will be confirmed. Note: Readings requested within 48 hours of the time you request your appointment may need to be rescheduled. It is advised that you schedule your readings 3-5 days in advance.